We love the picture and are so appreciative of your hard work and dedication to capture all of our special moments!!! Thank you Jen, so much! Courtney K.
It was a pleasure working with Jen. She made it so much fun even tho it was extremely hot out. I'm excited to see all the pictures and can't wait for her to shoot my wedding. LaZem H.
Jen did a great job with the shoot. I would recommend her to anyone. She was great with the kids and very understanding that they don't always sit still for very long. We will be using her again!!! Tracy L.
Jen, you did such a good job with her today and I'm so excited so see what we got! You have great ideas and beautiful work. Thanks so much, despite the conditions we had. Ashley S.
Have done several shoot with Jen now. She always has new, fresh and priceless ideas that are just breath taking. Joe D.
Excellent to work with, great sense of photography, very flexible...would definitely recommend, you won't be disappointed! Brian B. What a great photographer, she had great ideas to incorporate in her pictures. She was patient, kind and has a great eye for awesome shots. I am impressed!!! Tamica F.
Thank you Jen, you did a fabulous job and you were a joy to have with us! Your wonderful personality had everyone laughing and having a great time, even the 3 year old flower girl just adored you. I would recommend you to anyone for any occasion!! Can't wait to see the rest of the pictures! Brenda T.
You did such a great job taking the pictures of the whole bridal party and the bride and groom. And the things you did in the pictures were amazing Courtney D.
Heather and Brian's Photos are beautiful!!!!!!!! Valeri L.
You did such a great job and you were very flexible Heidi T.
Jenn is an amazing, energetic and a fun photographer. She has fun props and crazy ideas!! I recommend her for any occasion!! She did my daughter's wedding and the photo's are amazing!! Brenda T.
Stunning photography for a friend's wedding!! Jessica S.
Very flexible, understands working with children, creative ideas and captures the true essence of your family! Joe D.
She has done an awesome job for us :) Claudette B.
Amazing work! Highly recommend! Nick H.
Just picked up Oneida Prom cd. Pictures are amazing. Looking forward to Senior pics. Lauralee B. Wonderful photos that captured beautiful moments! Jen was fantastic to work with. Professional, friendly, flexible, accommodating. Very fast getting the photos to us. Great ideas for the shots and creative, fun edits. Thank you!! Julie Y. Very creative, proficient, enthusiastic and an excellent photographer. Great job with our family, would highly recommend your service to others. Richard D.
We had the best time at our save the date session. We are a goofy couple and Jen didn't seem to mind that at all lol. We can't wait for her to be there on our wedding day. Cathy B.
Jen is awesome we love all the pictures u have done for us Chad G.
Jen does such a great job! 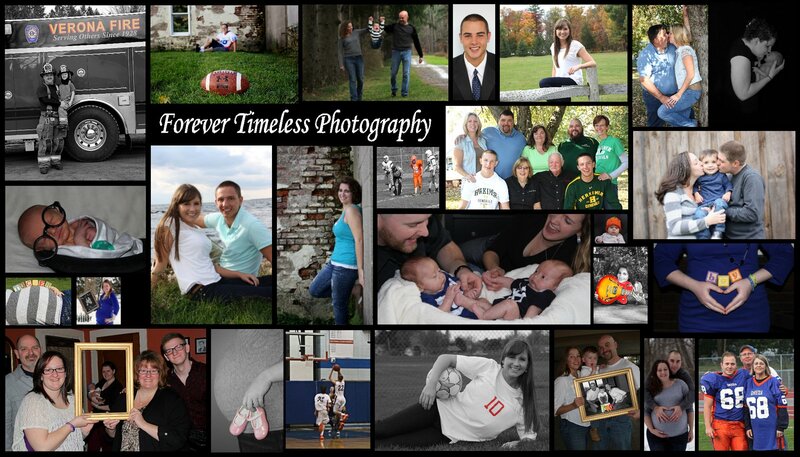 I loved all the pictures and had a great time during my maternity and newborn shoots. She is flexible and always gives 110%. She is full of fun ideas and makes the photo shoot a lot of fun. My whole family loved her. She was very patient, especially when photographing my newborn, and was an absolute joy to work with. I recommend her to anyone looking for a fun photo shoot of any kind! Heather C.
Awesome pictures ,and can't wait till the next ones .. Chris K.
An awesome and relaxed atmosphere, I wasn't afraid to be myself during my shoot :) the quality of the pictures were crisp and clean, they came out perfect. Not to mention it all came at a great price! Highly recommended :) Jackie J.
I cannot rave Jen enough. She did a wonderful job capturing a very special moment for our family. She was kind, professional and full of unique ideas. I can say with certain we have found our new family photographer! Amanda T.
Pictures came out GORGEOUS! Jen is very creative and makes the shoot a lot of fun. The price is right and I was amazed at how quick we got the pictures back after the shoot. We will going to her again for sure! :) Kelly J.
I have to be honest.. I've never worked with her, but she certainly knows her way around a camera. I offered suggestions and ideas and she went miles with it. Photography is an art and she definitely an artist!! Very talented -- very well done! Cory O. She is the best! Makes you feel comfortable, and has great ideas. Captures everything you would want in a photo! :) Gabby C.
Very flexible with scheduling, fun shoot, and amazing pictures! Jen is fantastic! Highly recommended :) Jessica K.